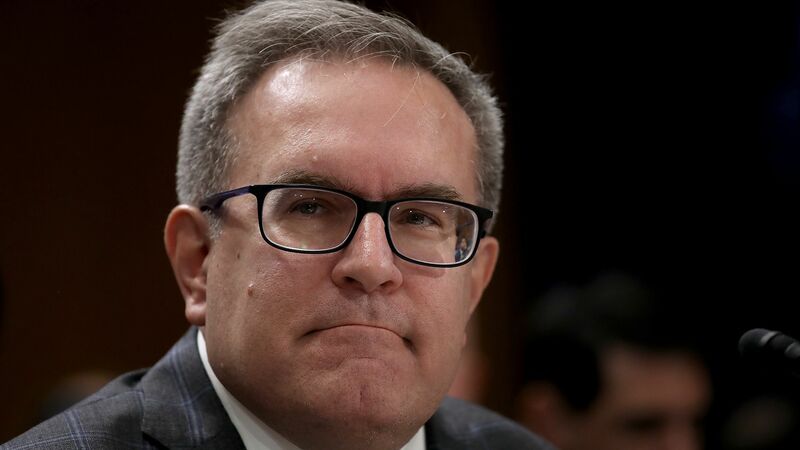 The EPA's plan to weaken vehicle standards underscores a broader problem facing Democrats and their environmental allies: They have little leverage against Acting EPA Administrator Andrew Wheeler, the man now leading the agency, compared to his predecessor. Between the lines: Scott Pruitt attracted massive press attention, but that was largely thanks to his big ethical problems and the bizarre trappings of the scandals. Now, Wheeler is advancing a very similar agenda — but without the heavy ethical baggage. Driving the news: EPA and the Transportation Department issued draft rules today that would dismantle Obama-era vehicle mileage and carbon emissions regulations. "As you know I viewed your predecessor’s tenure as one characterized by tawdry personal behavior in office, a desire to do damage to the agency that he led, a flagrant absence of transactional integrity, and horrible environmental policies. ... I see you as a remedy to three of those four." What's next: The Trump administration proposal upends Obama-era standards for cars and light trucks that extend through 2025. Go deeper: Read the EPA's new draft fuel economy rules.